Warnings For external use only. 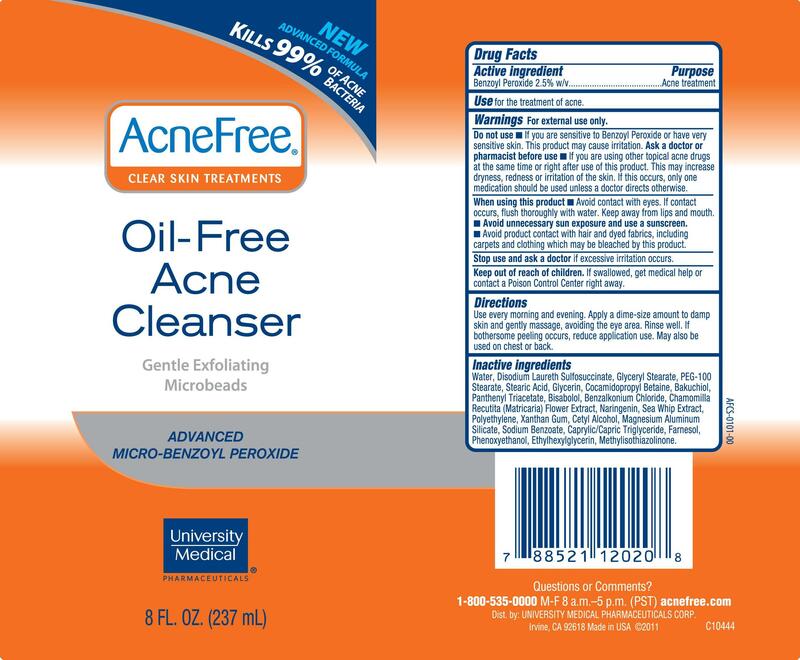 Do not use: If you are sensitive to Benzoyl Peroxide or have very sensitive skin. This product may cause irritation. Ask a doctor or pharmacist before use: If you are using other topical acne drugs at the same time or right before use of this product. This may increase dryness, redness or irritation of the skin. If this occurs, only one medication should be used unless a doctor directs otherwise. Avoid contact with eyes. If contact occurs, flush thoroughly with water. Keep away from lips and mouth. Avoid unnecessary sun exposure and use a sunscreen. Avoid product with hair and dyed fabrics, including carpets and clothing which may be bleached by this product. Stop use and ask a doctor: If excessive irritation occurs. Keep out of reach of children: If swallowed, get medical help or contact a Poison Control Center right away. Directions: Use every morning and evening. Apply a dime-size amount to damp skin and gently massage, avoiding the eye area. Rinse well. If bothersome peeling occurs, reduce application use. May also be used on chest or back. Inactive ingredients: Water, Disodium Laureth Sulfosuccinate, Glyceryl Stearate, PEG-100 Stearate, Stearic Acid, Glycerin, Cocamidopropyl Betaine, Bakuchiol, Panthenyl Triacetate, Bisabolol, Benzalkonium Chloride, Chamomilla Recuita (Matricaria) Flower Extract, Naringenin, Sea Whip Extract, Polyethylene, Xanthan Gum, Cetyl Alcohol, Magnesium Aluminum Silicate, Sodium Benzoate, Caprylic/Capric Triglyeride, Farnesol, Phenoxyethanol, Ethylhexylglycerin, Methylisothiazolinone.